The Eastern Shore of Virginia is a 70-mile peninsula off Virginia's coast, surrounded by the waters of the Chesapeake Bay and the Atlantic Ocean. It is an ideal getaway destination for outdoor enthusiasts and culinary travelers with its best-known attractions -the sister islands of Assateague and Chincoteague. The Eastern Shore features charming B&Bs, pristine beaches, miles of hiking trails, fresh seafood, barrier islands, and quaint small towns. Virginia's waterfront destinations offer fun and adventure for all ages. See Wild Ponies - World-famous for its wild ponies, the Chincoteague National Wildlife Refuge is a unique and beautiful place to visit. Most visitors can see the wild ponies in the marshes along Beach Road and from the observation platform on the Woodland Trail. For a close-up view of the ponies, you can also paddle a kayak or take a guided boat cruise. Explore Tangier Island - Tangier Island is often referred to as the 'soft shell crab capital of the world' and is known for its fishing, sunset cruises, kayaking, fishing, birdwatching, crab and shanty tours. The small island is pretty isolated and laid back. 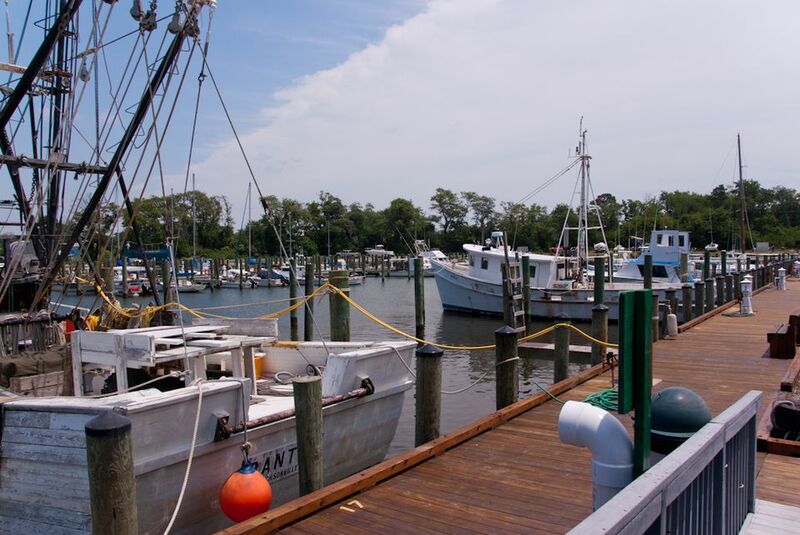 Explore Tangier and learn about the crabbing industry and life on the Chesapeake Bay. Hang Gliding - Take an introductory aerotow tandem hang gliding lesson from Eastern Shore Hang Gliding Center and fly like a bird, gliding over vineyards, farms, and waterways of the Virginia Eastern Shore. You and your instructor are towed to 2,000 feet by a sport light airplane and then released to enjoy the ride and spectacular scenery. No experience is necessary. Kayak to a Winery - Although there are several places that you can kayak along the Virginia Eastern Shore, the most unique excursion is the Kayak Winery Tour guided by SouthEast Expeditions. The trip starts at the Working Waterman’s Wharf at Bayford, VA, then participants paddle along the beautiful Nassawaddox Creek to the lovely grounds of Chatham Vineyards to taste some wine and learn about the secrets of winemaking. Travel Across the Chesapeake Bay Bridge Tunnel - Named "one of the Seven Engineering Wonders of the Modern World", crossing the Chesapeake Bay Bridge Tunnel is a unique experience. The four-lane 20-mile-long vehicular toll crossing provides direct access from Southeastern Virginia to the Delmarva Peninsula. Take your time and enjoy the awesome views. Stop at the Chesapeake Grill and Virginia Originals for a quick meal or snack, to buy some local gift items, or go fishing from the Sea Gull Pier. From the Washington DC Area: Take US 50 East. Cross over the Chesapeake Bay Bridge, continue on US 50 to Route 13 - turn south. Continue on US 13 to the Eastern Shore of Virginia. Route 13 runs south from Salisbury, MD to Virginia Beach, VA.
From Richmond, VA and Points South: Take 64 East toward Norfolk/Virginia Beach. Take exit 282 to US-13 North. Take the Chesapeake Bay Bridge Tunnel north to the Eastern Shore of Virginia. Chincoteague Island - The small town of Chincoteague has unique shops, museums, fine restaurants and a wide variety of accommodations including hotels, bed and breakfasts, vacation rental homes, and campgrounds. Visit the national wildlife refuge and see the wild ponies and hundreds of species of birds. Onancock - The town is nestled between two forks of a creek on the Eastern Shore of Virginia. Charter boats are available for fishing or sightseeing. Visitors enjoy strolling through town to explore the art galleries, shops, and restaurants. There are half a dozen places to stay, from restored Victorian Bed & Breakfast inns to a boutique hotel. Tangier Island - Tangier is often referred to as the 'soft shell crab capital of the world' and is known for its fishing, sunset cruises, kayaking, fishing, birdwatching, crab and shanty tours. There are a variety of waterfront restaurants. Cape Charles – Located 10 miles north of the Chesapeake Bay Bridge Tunnel, this town offers a commercial center with shops, restaurants, antiques, museum, a golf course, harbor, marinas, B&Bs and Bay Creek Resort. Cape Charles has the only public beach on the bayside of the Eastern Shore. Chincoteague National Wildlife Refuge - Managed by the U.S. Fish and Wildlife Service, the refuge is a great destination for bird watching, wildlife viewing, hiking, biking, kayaking, and swimming. Assateague Lighthouse - Located approximately 1/4 mile away from Chincoteague Island, the lighthouse was built in 1833 and is in the National Register of Historic Places. Visitors can climb the stairs and get a birds-eye view of the area. Chincoteague Island Museum - The small museum explores the history of the island including its people, culture, and heritage. NASA/Wallops Visitor Center - Exhibits explore past projects conducted at Wallops Flight Facility and current programs including the Sounding Rockets Program, Scientific Balloon Projects, and Orbital Tracking. Ker Place Museum - A National and Virginia Historical Landmark built in 1799-1803, the grand Federal house serves as the headquarters for the Eastern Shore of Virginia Historical Society and offers exhibits about the history of the region. Barrier Islands Center - The group of three historic buildings serve as a museum examining the history and culture of the islands. There’s also a gift shop and space for special events. Kiptopeke State Park - Located just three miles north of the Chesapeake Bay Bridge Tunnel, this park offers a natural Bay Beach, walking/biking trails, campground, cabins, Fishing Pier and Boat Landing. The park also is home to a “ghostly” breakwater made up of WWII –era concrete ships. Eastern Shore National Wildlife Refuge - The refuge provides opportunities for wildlife observation and photography, environmental education and interpretation, hunting and boating. There is a small museum, a butterfly trail, a view of Seaside Barrier Islands atop a WWII Bunker. Chesapeake Bay Bridge Tunnel - The four-lane 20-mile-long vehicular toll crossing provides direct access from Southeastern Virginia to the Delmarva Peninsula. Cape Charles Museum - The small museum documents the history of the Cape Charles community with photographs, timetables, documents, and historic objects. For information on hotels, tours, dining, special events and more, visit the website for Eastern Shore of Virginia Tourism.